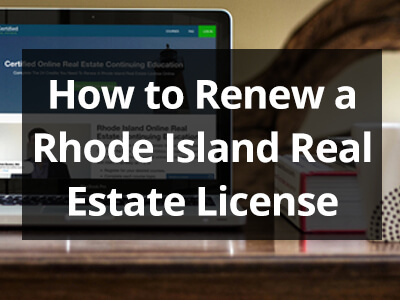 Renew your Rhode Island real estate license online today. Complete the Core Ethics course along with other elective courses you need online. Renewing a license with KMC is as easy as 1-2-3. Register for your desired courses. 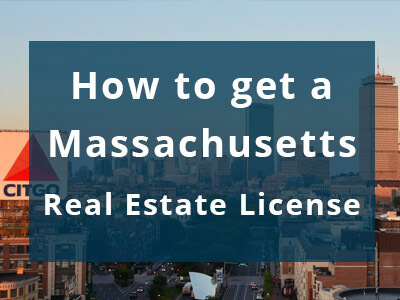 Students are taught Rhode Island licensee requirements and the knowledge necessary to work with clients in a protected class. This course helps agents understand their responsibilities and duties when working with and representing a buyer. This course helps agents understand their responsibilities and duties when working with and representing a seller. This course is approved by NAR and discusses new, updated and existing ethics guidelines and procedures for real estate agents and brokers. This online course helps agents better understand the financial portion of a real estate transaction so they can be more informed for their clients. This online course helps agents better understand the importance of personal credit when it comes to a real estate transaction. This course discusses the various technologies and tools real estate professionals leverage to attract, engage, and acquire new clients. The legal landscape in the real estate industry does not change often but it is critical to be familiar with many important laws. This online course covers current relevant issues and how can they be avoided. Find out how to stay out of trouble and make more sales. Winter Special: $15 per course topic or $99 for 24 hours! What are you waiting for? Enroll and complete your continuing ed online today. Is KMC certified and approved in Rhode Island? 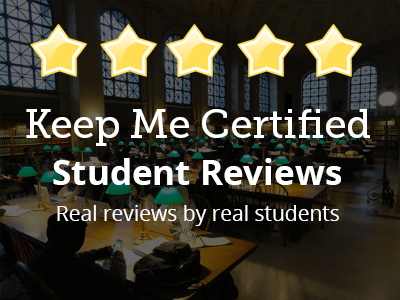 Yes, Keep Me Certified is a certified real estate school in Rhode Island, Connecticut, Massachusetts, and New Jersey. What if I already took a few credits elsewhere? You can register for however many credits you need. Can I fast forward the videos? Yes, our system remembers where you leave off so you can pick back back up at a later time. You also have the ability to fast forward and rewind within the portion of a video that you have already seen. When/how do I receive my certificate? Upon completing each course topic your certificate will become available and a copy will automatically be emailed to you within 10 minutes. Occasionally the email containing the certificate is filtered to your spam folder so be sure to check there too. How do I know it's safe to give you my credit card info? We take many of the same security measures as major online retailers to ensure the security of your credit card number. You will notice that our website is delivered over https which is a secure transfer protocol. We also do not store your credit card number on our servers. Do you report our credits to the Rhode Island Real Estate Board? Rhode Island is a self-reporting state, so once you complete the credits you need you can submit the renewal form to the state. How do I log back in to the course? In the top right corner of every page, click the green “login” button. If you are already logged in then the box will show "Log out". Can I watch on my ipad and mobile devices? I was in the middle of a video and it froze, what do I do? Refresh the page. If you are on a PC, push control f5 (the f5 key at the top of your keyboard) and start the video again. Our system remembers where you leave off but in the case that it doesn't pick up at the right spot, you can fast forward to where you were. An error occurred while watching a video, what do I do? This probably means you lost your internet connection for a moment and the video feed stopped coming to your device. Generally this is a "self-healing" process but if it does not fix itself you can refresh the page and even fast forward back to where you left off. If you are using a pc, the best way to refresh the page is by hitting control f5 on your keyboard, that does a full refresh on your browser. To fast forward, you can click on the "progress" bar located in the video player. If you continue to have trouble, you can always reach out to us. Every time you log in to the course threre is a 1.5 minute instructional video you can watch and reference as many times as you need. Upon completing each topic a certificate will be emailed to you and a link to it will also be available in the course library. What if I have a question not already answered on this page? This page contains the most commonly asked questions by our students. It is unlikely that you have a question that is not answered here but you can always reach out to us through our livechat feature located in the bottom right corner of every page. We will respond to you as soon as we can. We build better training for real estate professionals!